Well, I always think of it that way. Hero Arts is our sponsor and I always have a wonderful time making cards with their products. You won't believe how I came up with this idea. I wanted to create a project using the "Enjoy the Journey". I went to bed and woke up in the morning with the idea that the bottle looked like a flask, rather than the normal bottle. 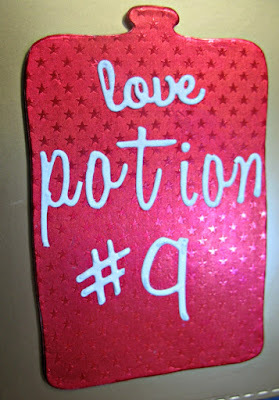 Suddenly, Love Potion # 9 came to me. Since it's about love and it's February, the month of love, I had to use red for the "flask". You never know how you will come up with an idea. Hero Arts Enjoy The Journey die cuts. So fun and cute! 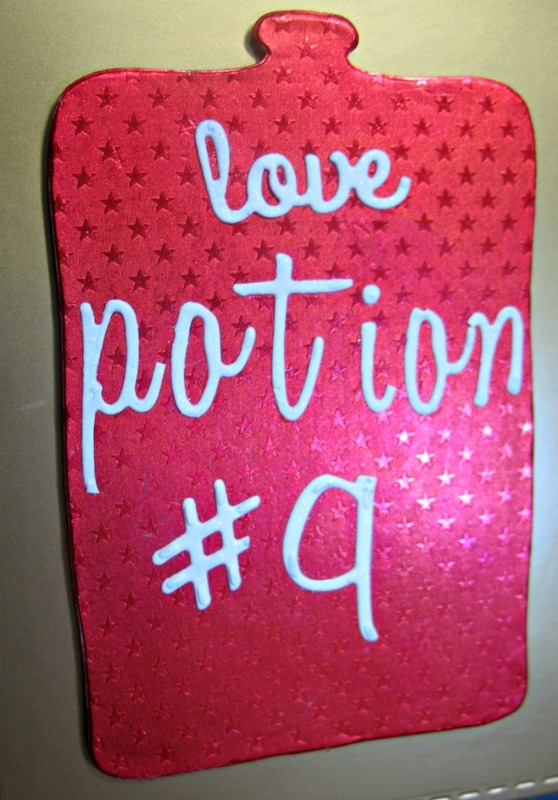 Great idea using the bottle for the "love potion". 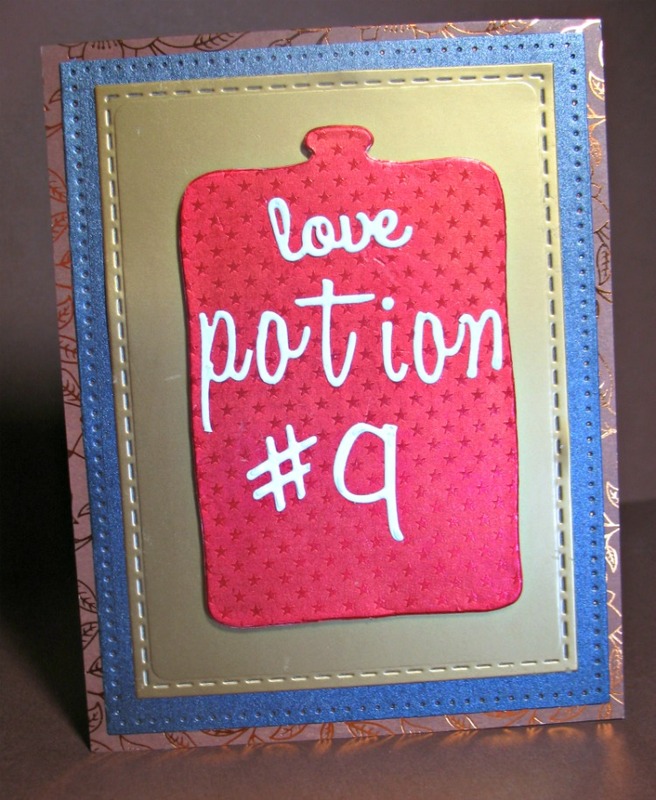 Flasks contain love potions, don't ya know! Great card!